Super Savers with cardboard boxes with flaps offer greater storage capacity at a minimal cost because the double depth shelves (30 '' deep) can store two boxes deep and two high, providing more locations with fewer shelves. On the other hand, ECO boxes are cheaper than the lidded model. So, choosing the Metal Point Plus Record Storage Super Savers with ECO boxes unit prioritizes storage capacity over direct access to each box. Maximize your record storage and minimize your costs. 200 lb tested environmentally friendly record storage boxes. 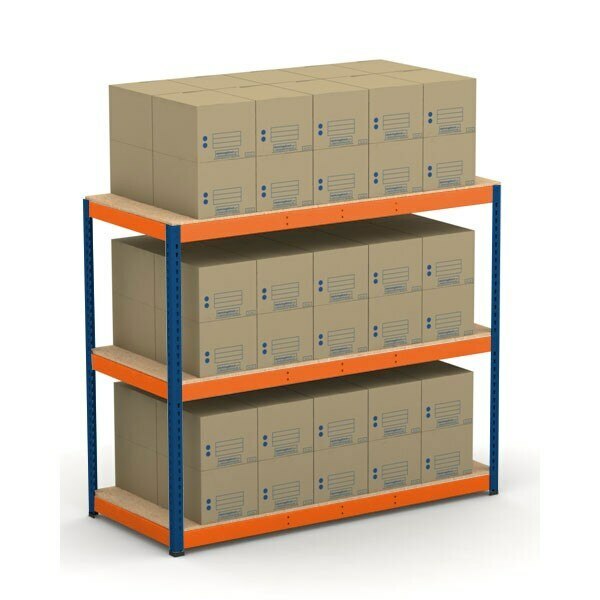 Record Storage Shelving features a no rust electrostatic epoxy-polyester lead-free powder coat finish. 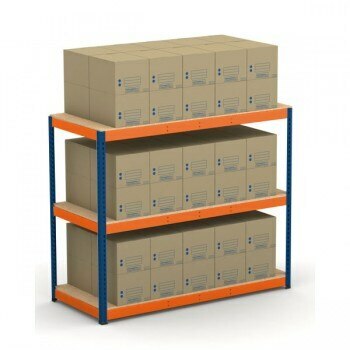 Record Storage Shelving is also available without boxes. Boxes/BIns Quantity: 32, 40, 48, 56, 64, 72, 80, 96, 100, 112, 120, 140.